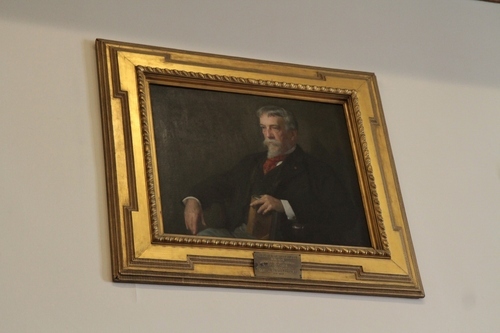 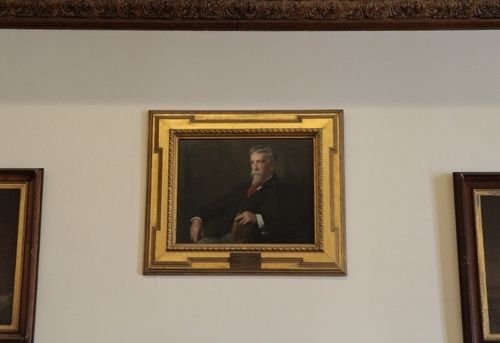 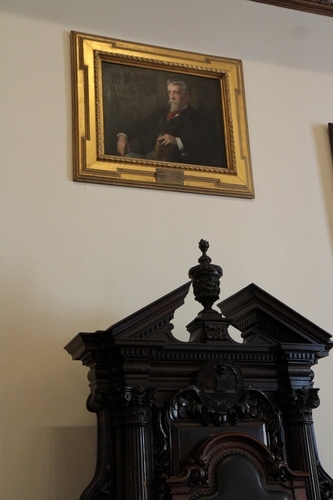 This oil-on-canvas portrait of Silas Weir Mitchell by American Impressionist painter Robert Vonnoh can be seen in the place of honor of the Mitchell Room in the College of Physicians of Philadelphia. 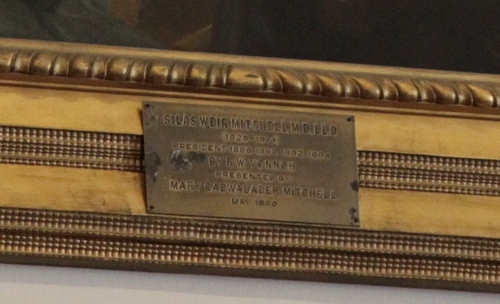 It was donated to the College in May 1900 by Mitchell's wife, Mary Cadwalader. Photos by Luca Borghi ti.supmacinu|ihgrob.l#| (June 2017), courtesy of Chrissie Perella, archivist, on behalf of the CPP (Historical Medical Library of The College of Physicians of Philadelphia, Philadelphia, PA, Inventory Number PA 24).